Mahaperiyava had talked extensively about the importance of celebrating Adi Sankara – not just on Jayanthi day alone – but at all the time. I remember in one of the old interviews, Sri Seetharaman mama, who is a photographer too explains how Periyava became so happy the moment mama told that he built a model temple for Adi Acharya. There are so many such incidents. 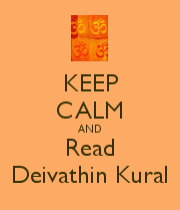 Mahaperiyava’s upanyasam on Adi Acharya has taken up the entire fourth volume of dheivathin kural. Our Sri Matam also has been doing so many Ads Acharya related celebrations in Kaladi, Rameswaram etc and HH Pudhu Periyava had installed Adi Acharya vigraham in very very remote places in India – including Manasarover. Here is the clipping of HH Salem Swamigal (I don’t know anything about this Swamigal) talking about Adi Acharya – small clip – but powerful. This clipping was posted in FB by Sri Ganesh Raghu. Without Adi Sankara, there is no sanatana dharma….We should take a resolution to include Adi Sankara in our guruvara puja along with other gurus…. ‹ Coming Soon…The ‘GREAT GRAND’ Sri Sankara Charitham by Maha Periyava! The Swamigal rendering the bhashan is Sri Vidhyasankara Swamigal having his Madam in Nerur, near Karur. He is the one who took to Sanyas at the very tender age of 11 r 12 and was famously known as Salem Kutti Swamigal some years ago. He is an erudite scholar and easily accessible for devotees to meet and interact or seek clarifications, as I experienced. His day , when at Nerur, starts with performing the first Abhishekam of SriSri Bodendra Saraswathy Swamigal Adhistanam in Nerur. Jaya Jaya Sankara !! It is important.. The entire world should know about Adi Sankara. 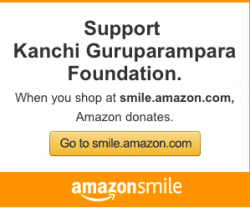 Efforts should be made to start this, from forthcoming Adi sankara Jayanthi. THE Hindu temples abroad should take efforts to install an idol of Adi sankara in all the existing temples and in the newly planned temples. I tried to do this in Singapore… THE Board assured to do it 15 years ago.. Last year, I visited a few, but there was no development… I Could see “naalvar” and “Arunagirinathar”.. BUT not Adi sankara. Now, MAHA PERIYAVA memorials are planned in America, in New Jersey and Chicago etc… May be in West coast (California) also. These organisations can take up this good job to educate people about Adi sankara and His works.